Shirdi Sai Baba Stories,Leelas and Teachings. 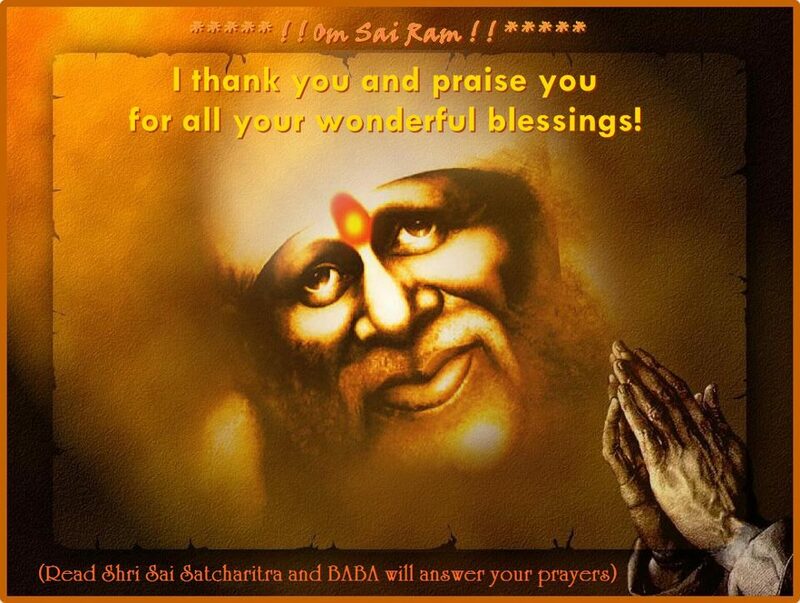 : Shri Sai Satcharitra Ovi To Ovi In English For Download. Shri Sai Satcharitra Ovi To Ovi In English For Download. I am delighted to share the most revered and divine book Shri Sai Satcharitra Ovi to Ovi in English .This book is different than the normal version of Shri Sai Satcharitra as it contains the revered book in form of discrete verses(Ovis).These Ovis make this book interesting to read and more lively . Many devotees had desired to read this book and I am happy that this website of Shri Sai Baba by His blessing has become instrumental to fulfill the desire .May all devotees do parayan of this revered book by the day of Maha Samadhi of Baba which is falling on 23rd Oct and receive blessing of Baba in abundance . Thanks to Sai devotee Anjana Kumari who shared this book with all of us .Jai Sai Ram . You are doing a great job of posting documents and maintaining website. Baba always blesses you. Manisha Ji, I am a Sai Devotee since 1993. Before that I was not aware of Baba. I read Sai Satcharitra daily one chapter. One year ago, I came to know there is a OVI to OVI book. I was trying to buy and couldn’t find here. Then I surfed on Internet and could not find either. After a couple of months I bought a book from temple. Then I got an idea, why cannot I document this, then we can post on Shirdi Sai web sites. As soon as I got an idea, I started documentation immediately and targeted for 2 months. It was around 900 pages. Am I able to do it or not, initially I thought? But Baba gave me Shradha and Saburi. I finished the documentation within that period. Baba used me as an instrument ,he has done the whole thing. As soon as I completed this work, I felt very happy. I work 5 days a week and do volunteer work at temple. If you find any mistakes, please forgive me.